Quilting Smiles was established in 2016 by Yvette Redding to offer classes and workshops in patchwork and quilting. Our classes are small and friendly with a maximum of four students to ensure that you have the space and attention you need to succeed. All the equipment you need as a beginner is provided for use in class. Just choose some lovely fabric and let’s get started! Yvette has loved stitching all her life! Under her mother’s expert guidance, she learned to sew as a young child, stitching clothes for her dolls. In her teenage years she moved on to making her own clothes and in her twenties developed a passion for home furnishings. Another decade brought children of her own to sew for – clothes, toys, and yet more dolls’ clothes! Over the last ten years patchwork and quilting have become a wonderful obsession. So much so that in 2015 Yvette embarked on a City and Guilds Certificate in Patchwork and Quilting. 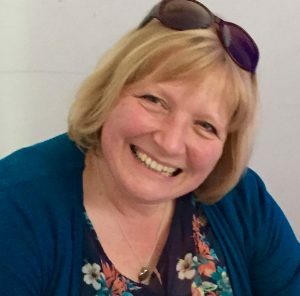 In 2016 Yvette left her job as a primary school teacher to develop her Quilting Smiles workshops to share her passion with as many people as possible. Sew far, sew good! As well as teaching classes, Yvette also designs and makes custom quilts to order. Expertly pieced, these make fabulous gifts for weddings, new arrivals and special birthdays and are custom quilted on Yvette’s Handi Quilter Long Arm machine. So many fabrics, so many things to make and all we need now is just a few more days in the week and hours in the day!